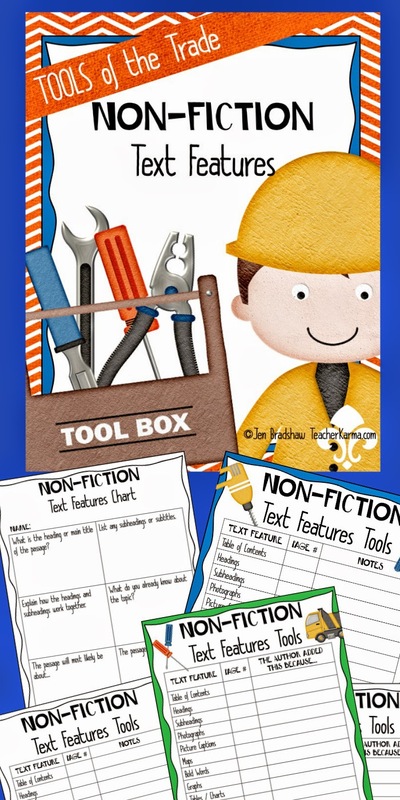 Classroom Freebies Too: Nonfiction FREEBIE! Using Text Features to Improve COMPREHENSION! 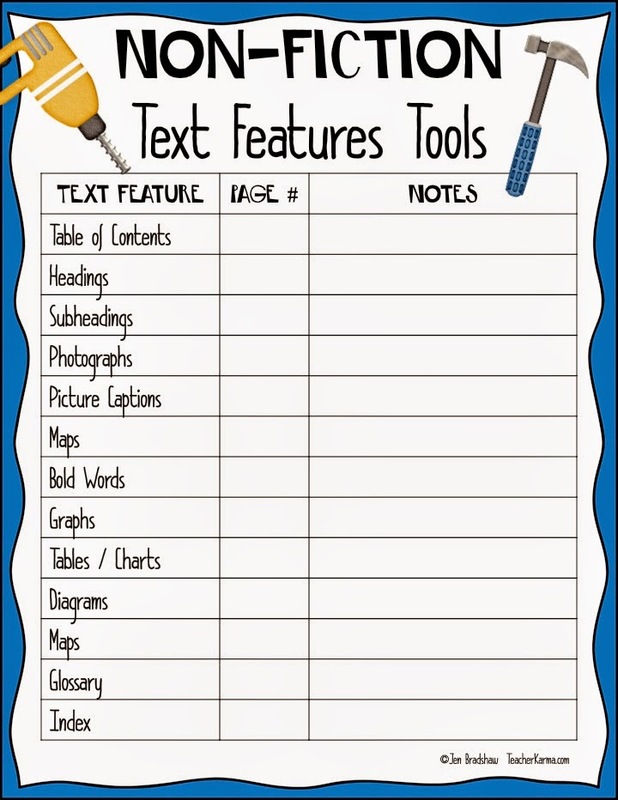 Nonfiction FREEBIE! Using Text Features to Improve COMPREHENSION! This time of year... it's ALL about NON-FICTION! I know it's NOT all about testing, but... when we take notice of how students are currently assessed, there is no getting around the fact that non-fiction is a HUGE deal! 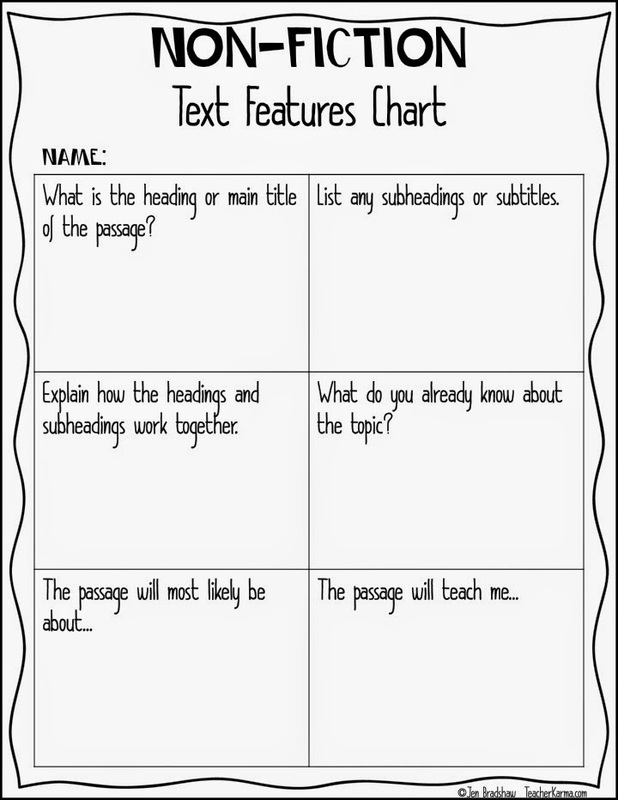 Teach your students to look at the text before they begin reading! This will help your students to notice what is important to the author, and help to improve their overall comprehension skills. When the author highlights certain parts of the text with headings, bolded words, graphics, etc. 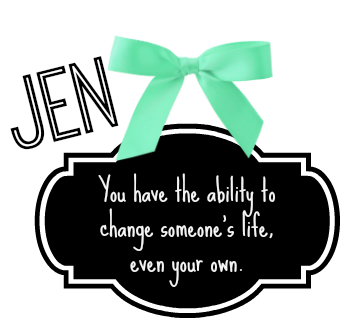 it is likely important to the overall text. 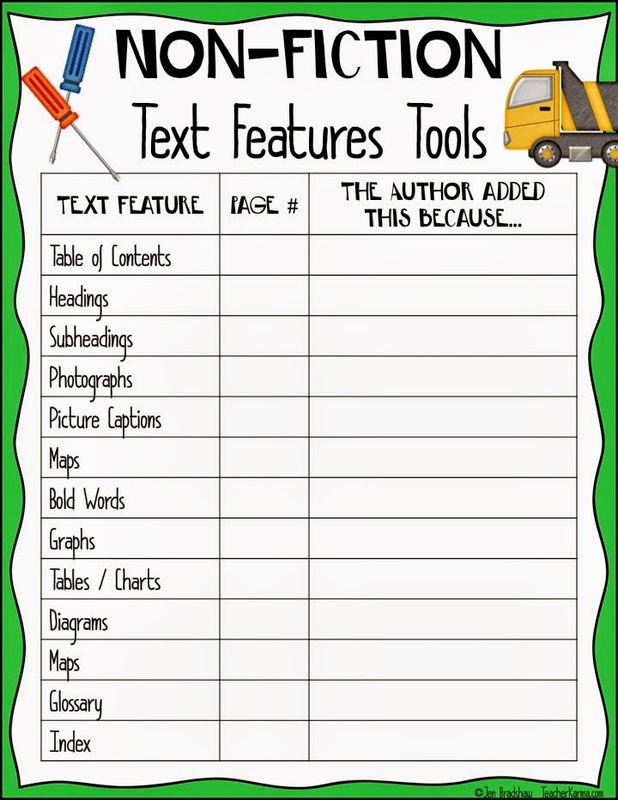 If you would like to read more about teaching your students about non-fiction text features, and get the non-fiction FREEBIES too, please click here or on the graphic below.